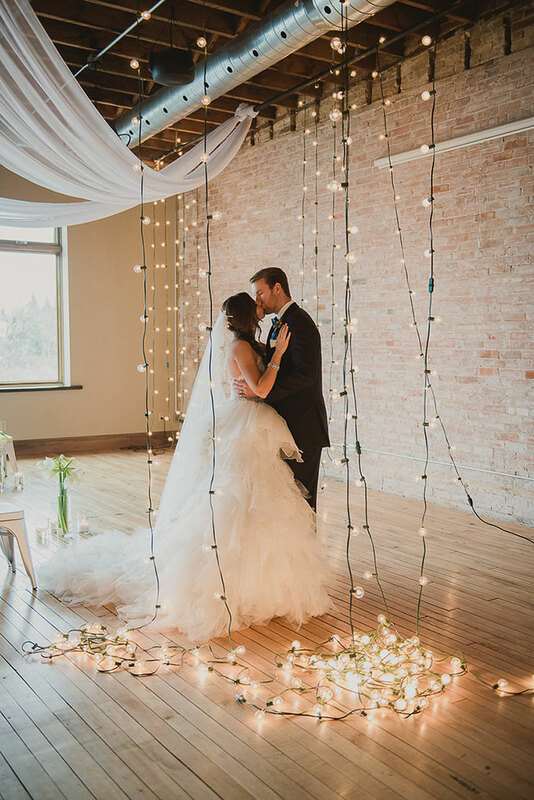 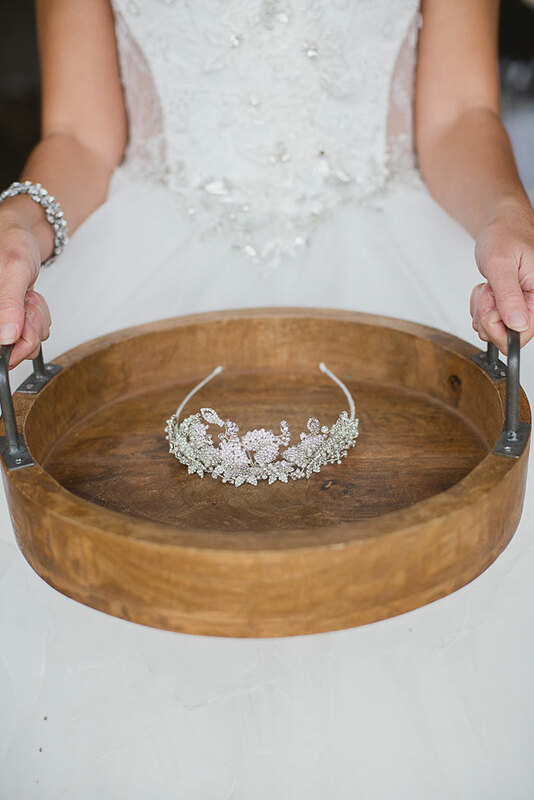 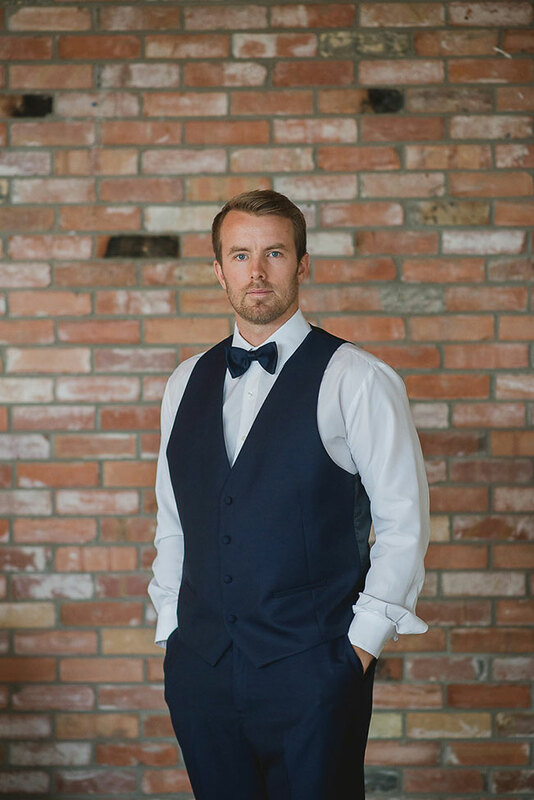 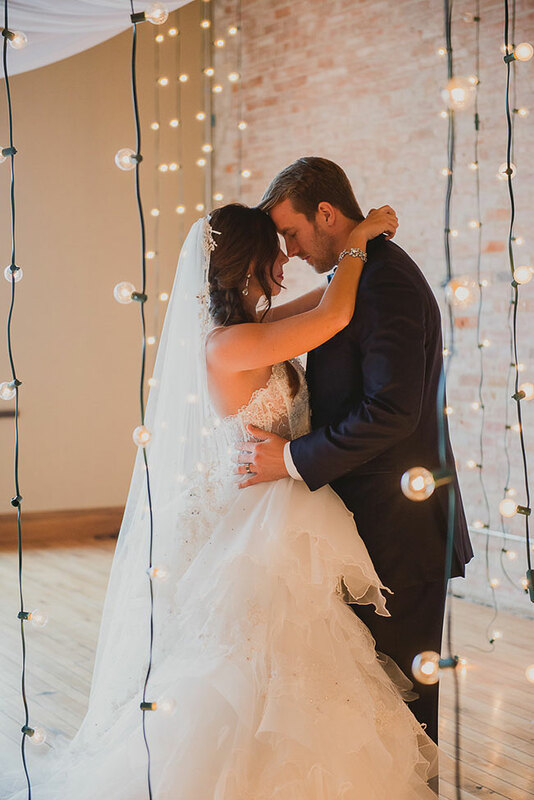 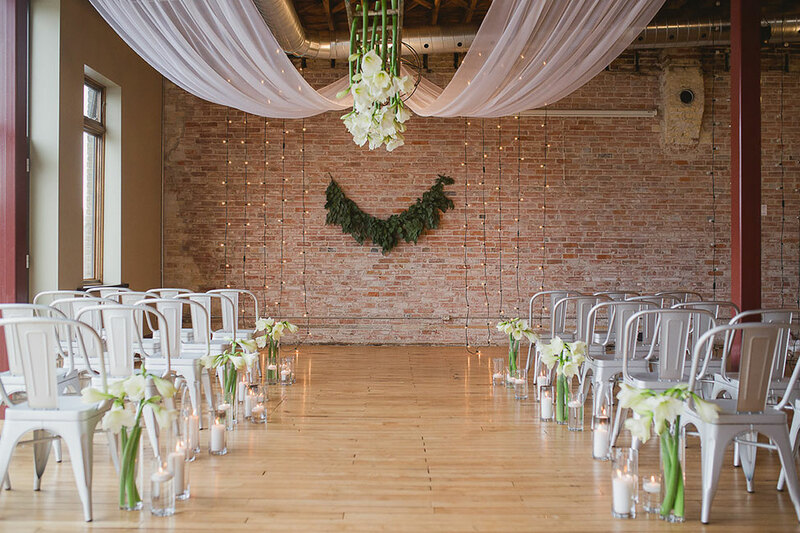 When a venue is filled with exposed brick walls, floor to ceiling windows, restored original hardwood floors and unique industrial lighting, how can your head not start to swim with romantic ideas for a gorgeous loft wedding! 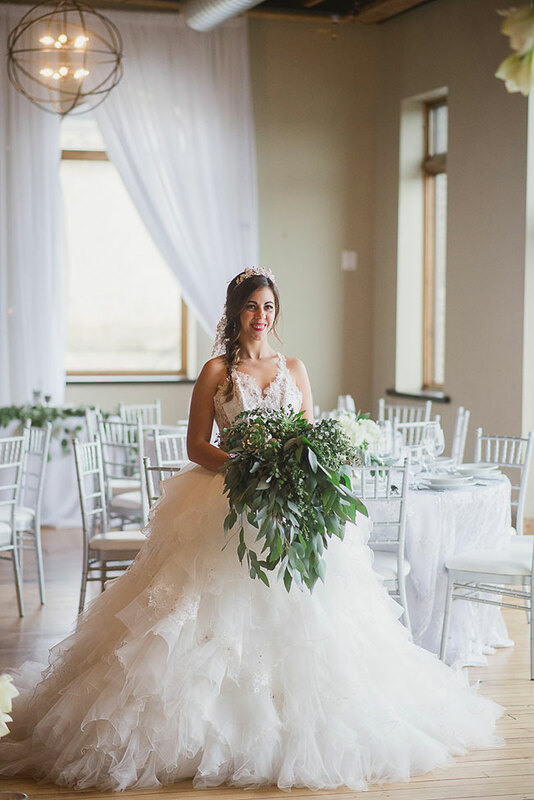 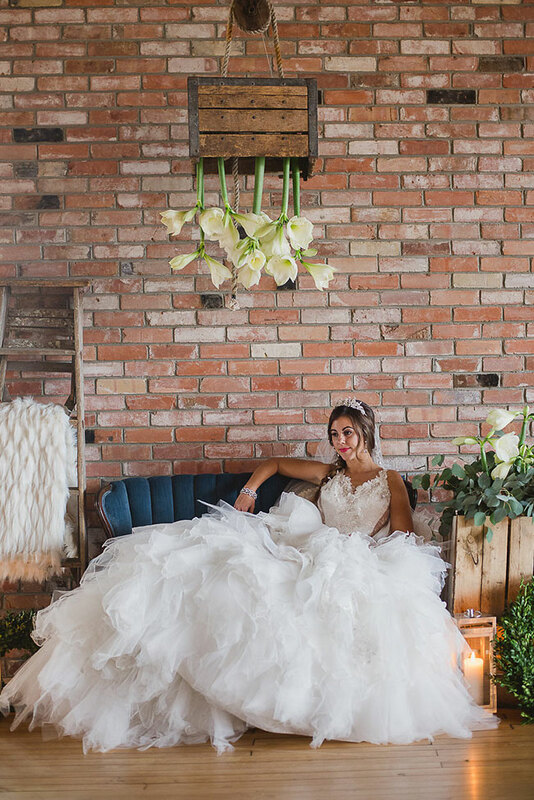 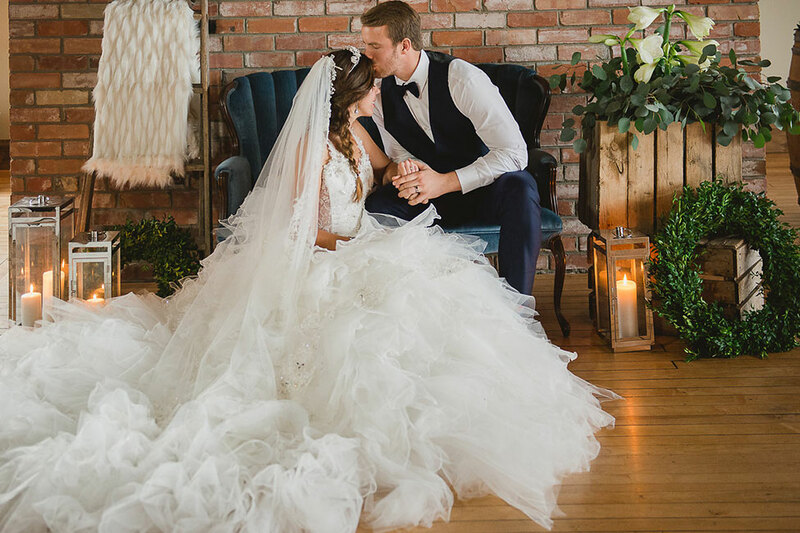 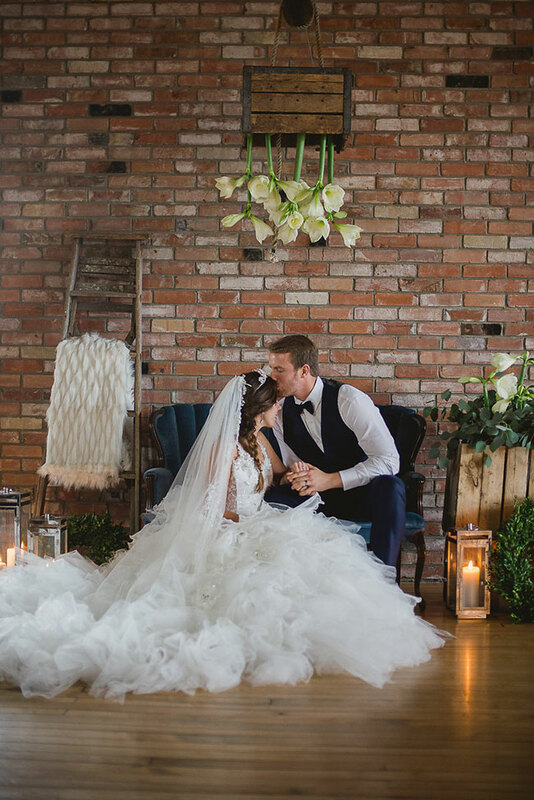 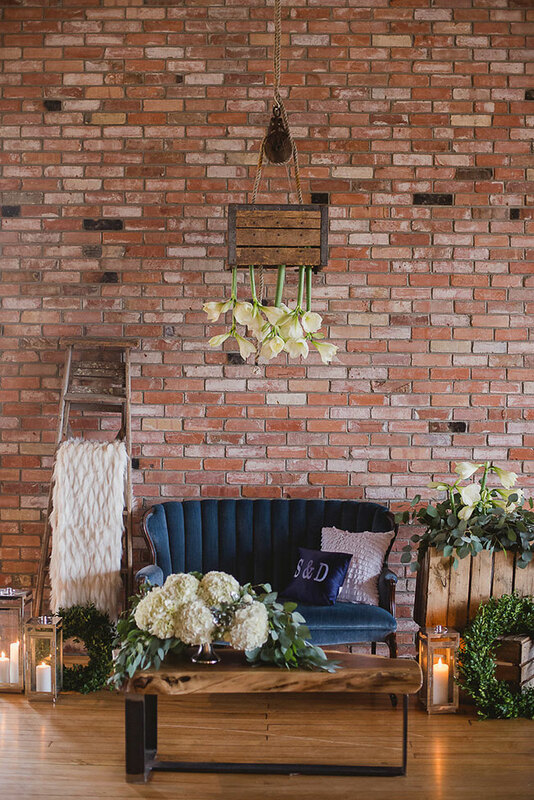 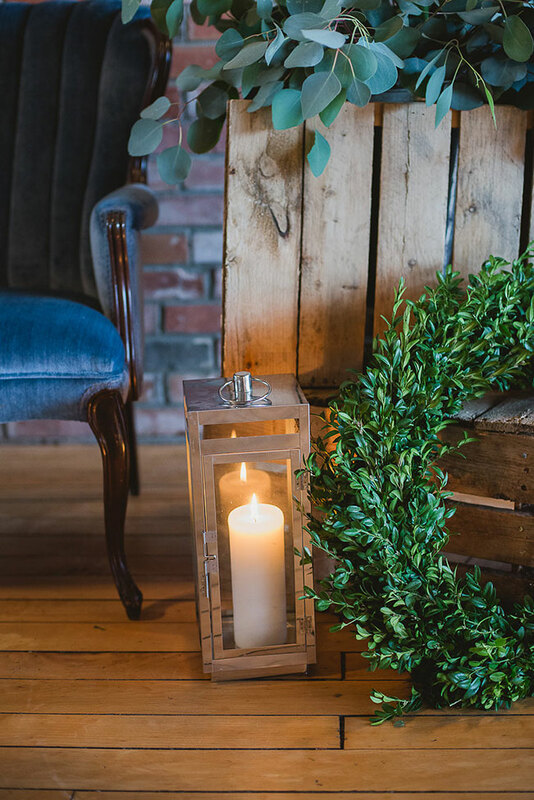 Set at Ontario’s Arlington Hotel, Florist La Petite Fleur along with event designer AWE Events whipped up the atmosphere for this styled loft wedding that felt both romantic & whimsical. 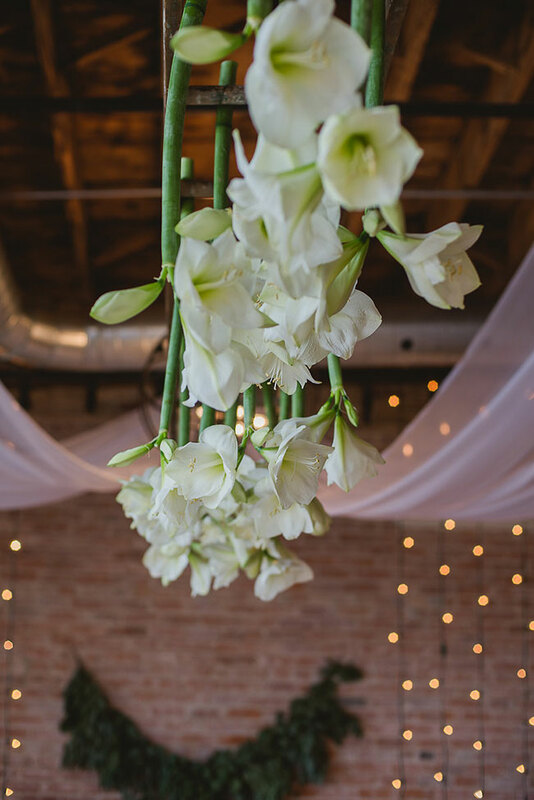 To set the stage the team utilized the tall ceilings to their advantage, creating a unique suspended amaryllis floral installation that floated above the ceremony aisle. 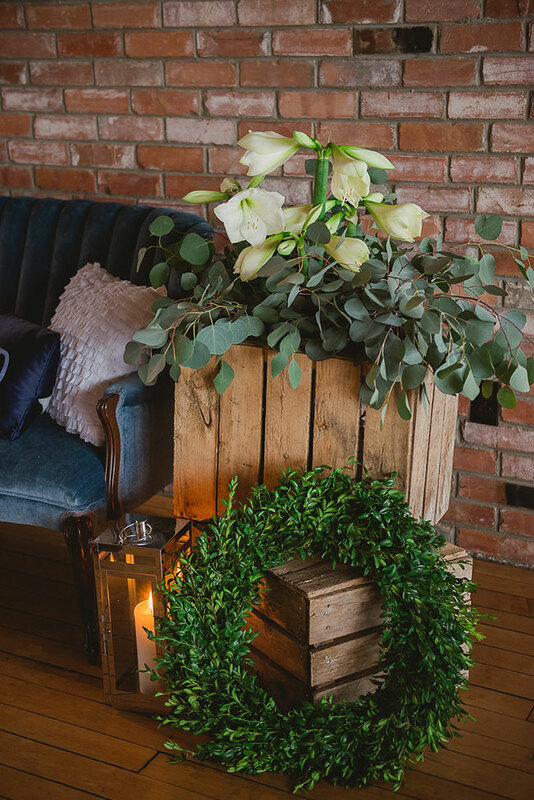 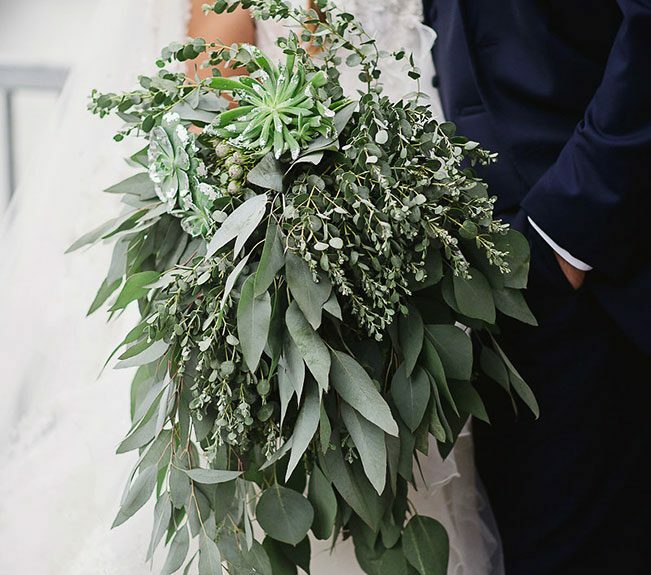 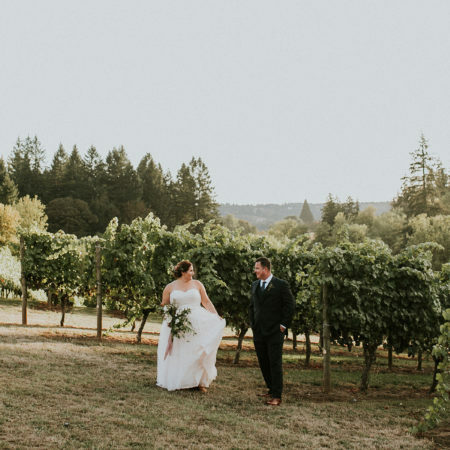 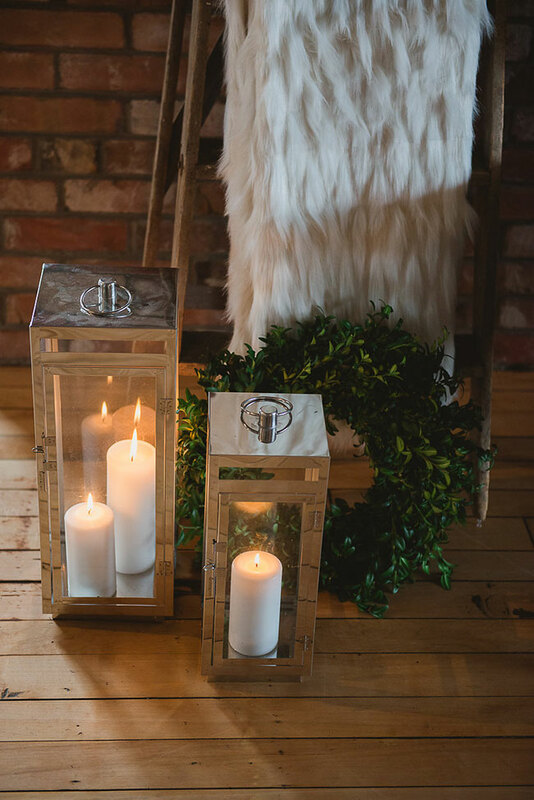 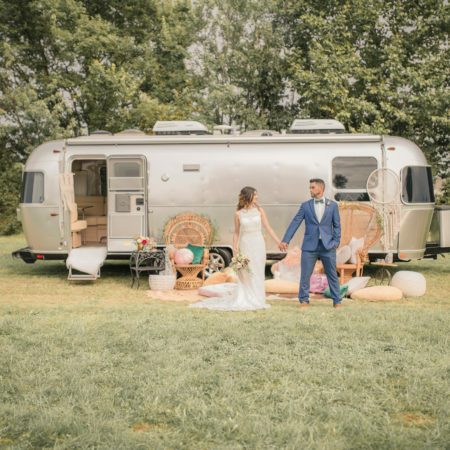 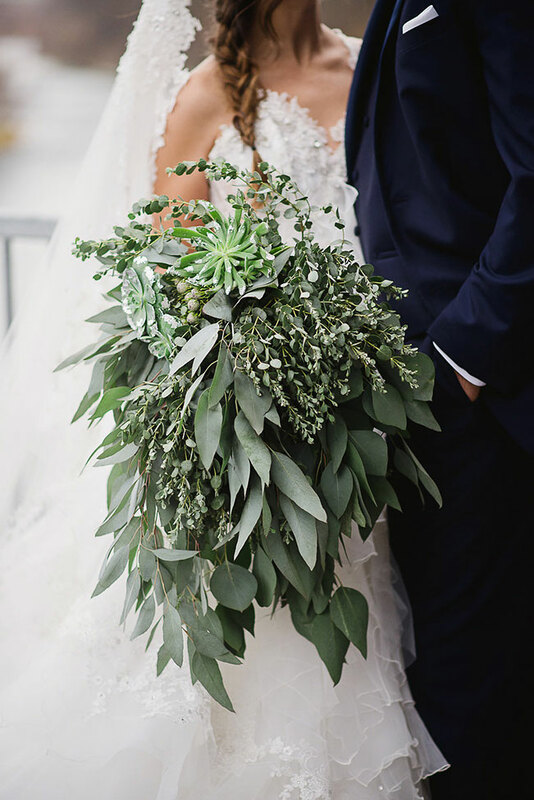 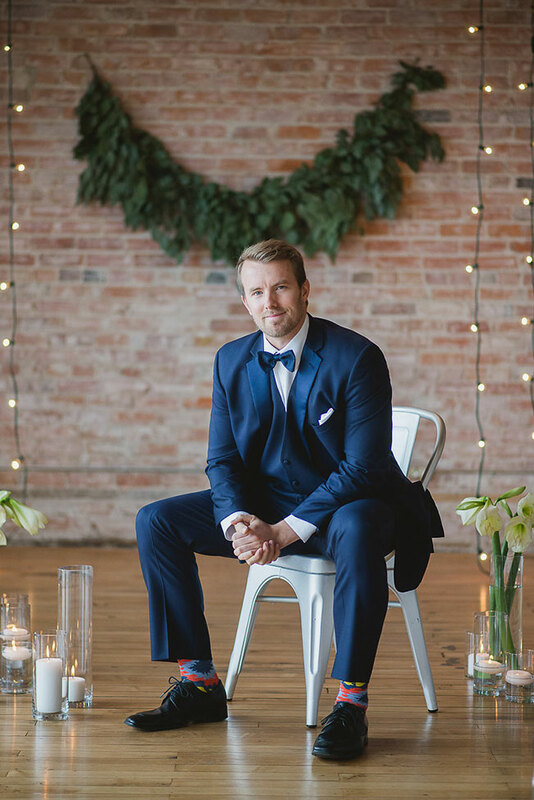 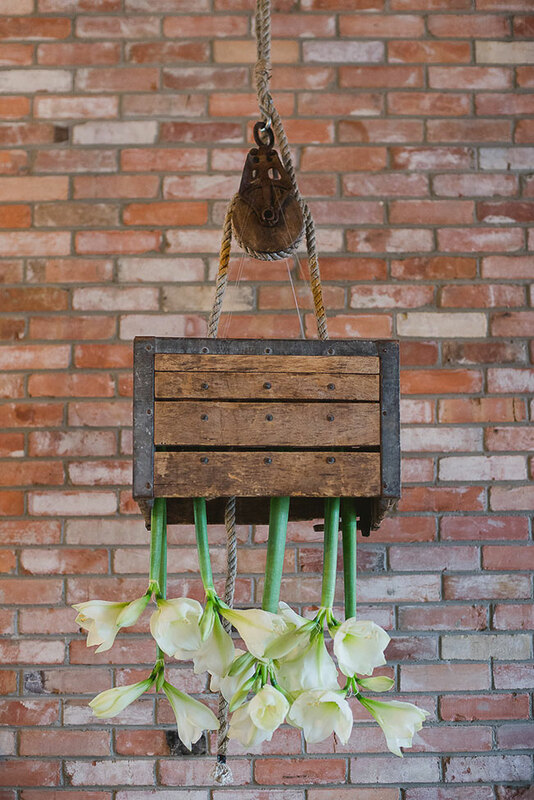 Utilizing chic vintage decor pieces, a cozy lounge was set for the couple to snuggle in, featuring a creative and cool suspended box of amaryllis that echoed the ceremony aisle which accented the air above. 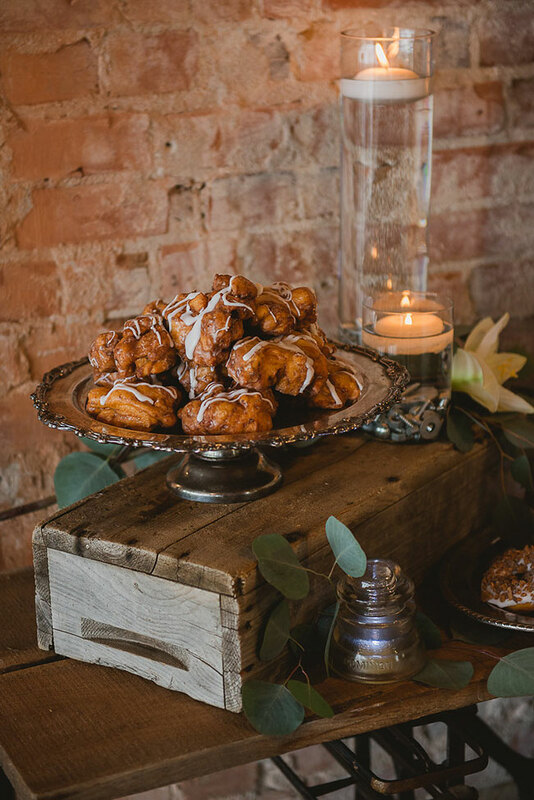 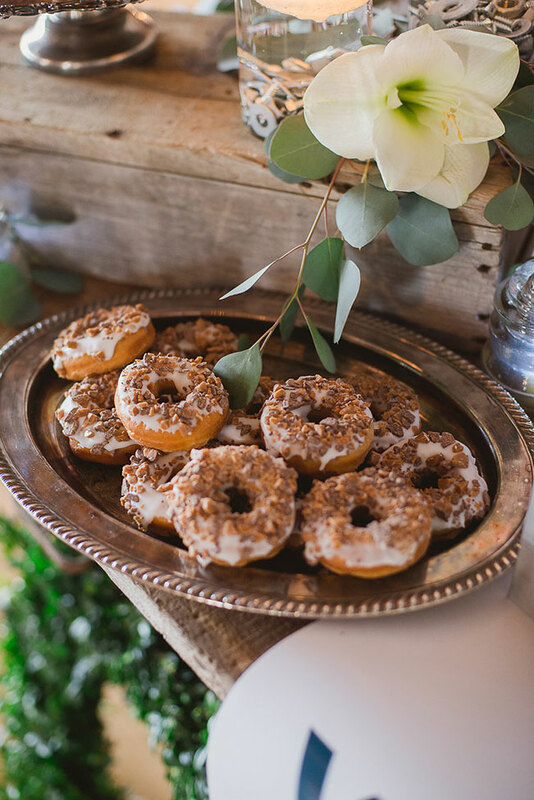 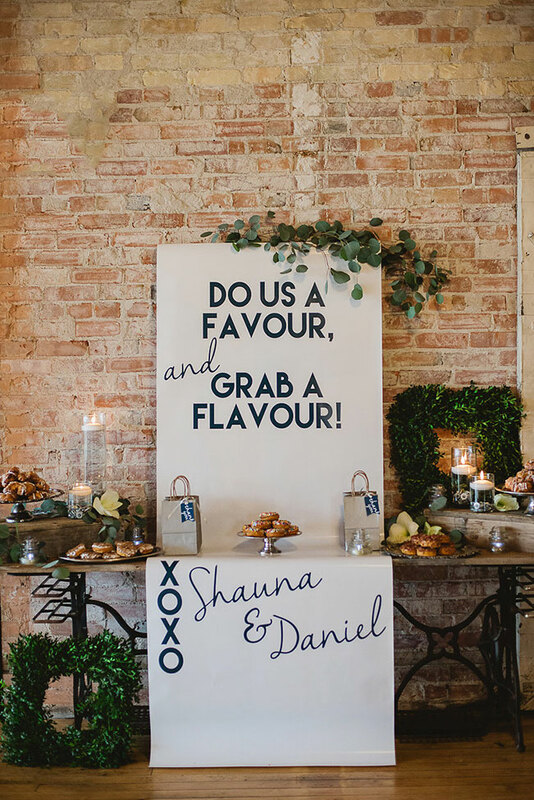 Sweet treats were displayed while noshes like old fashioned donuts and cakes were styled with lush mixed greens. 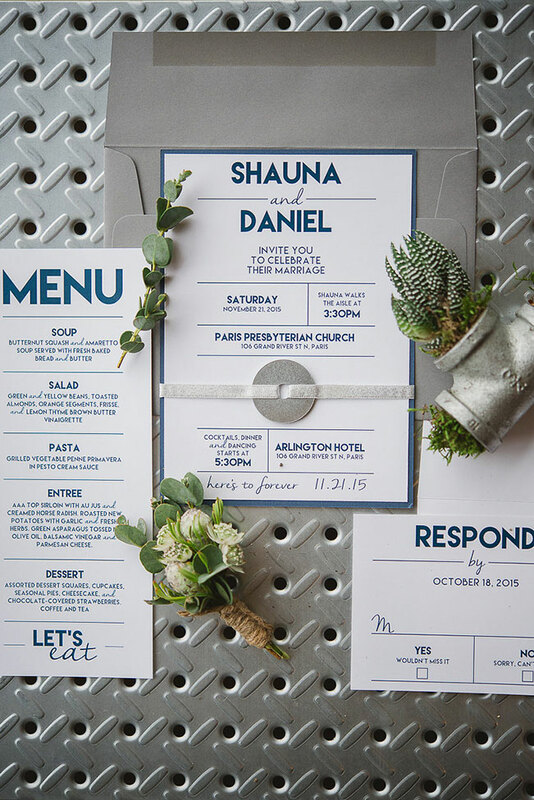 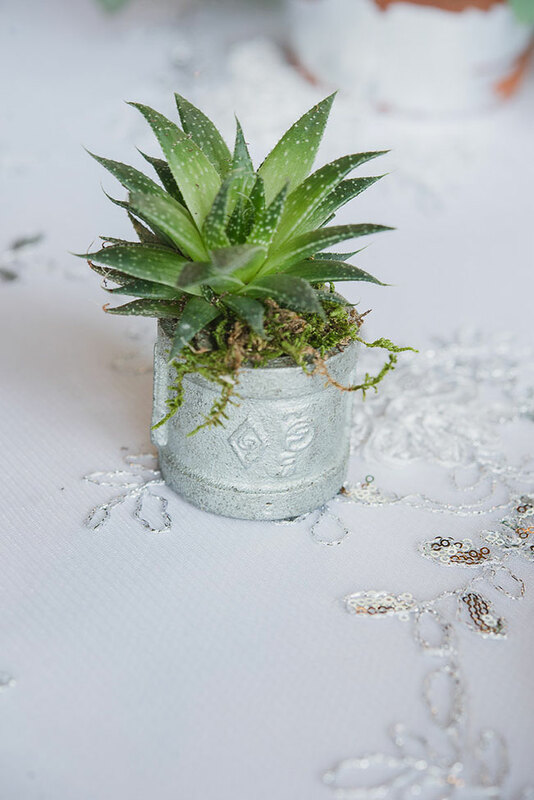 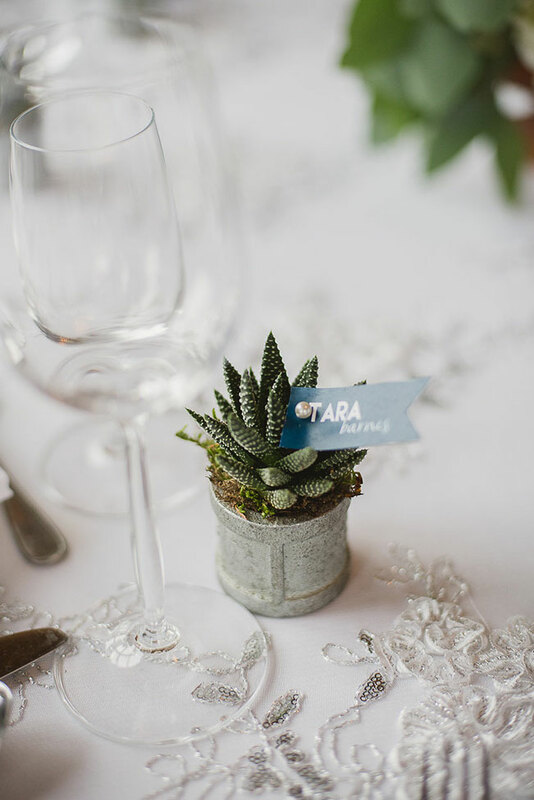 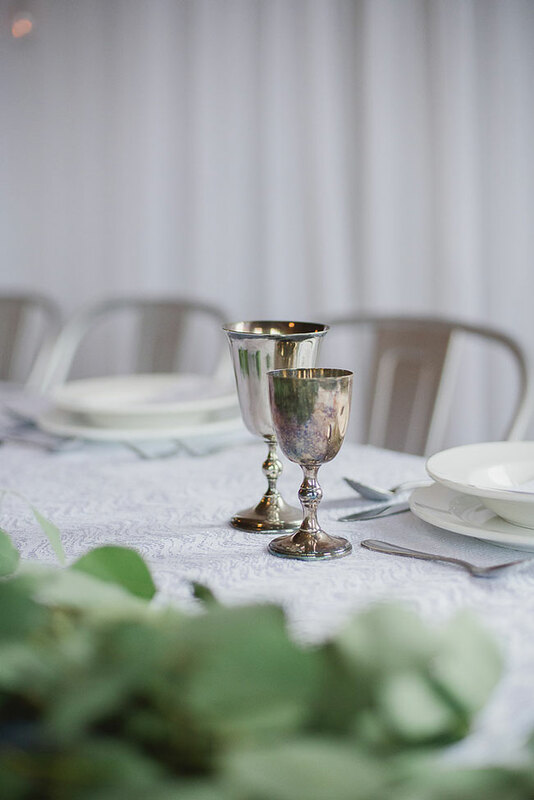 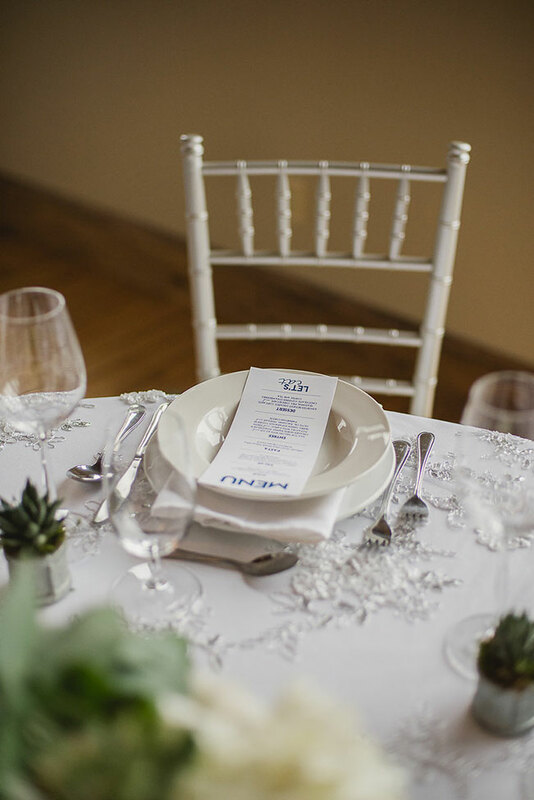 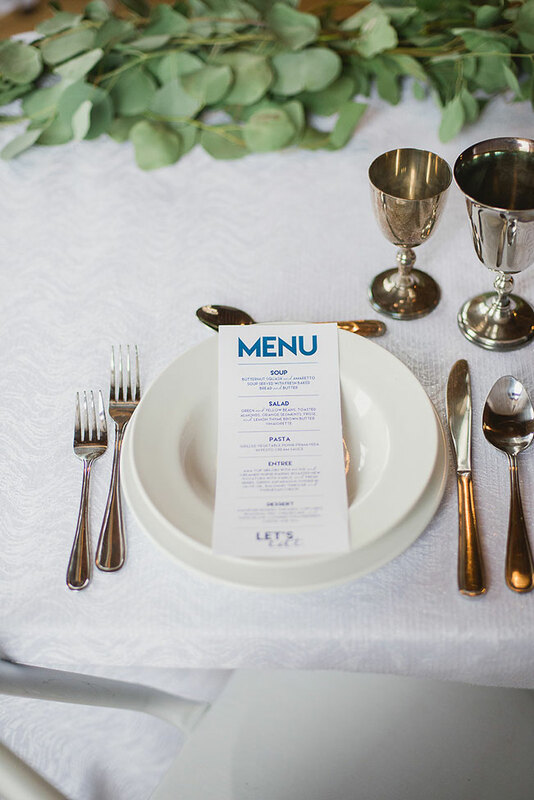 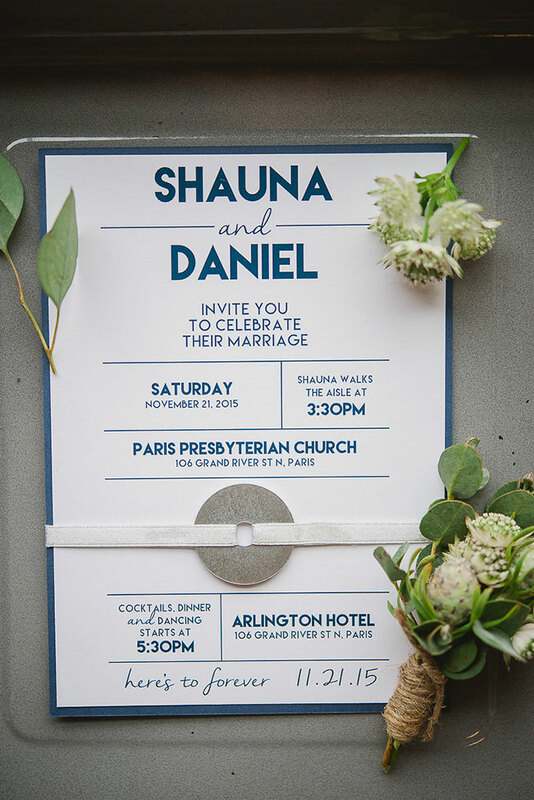 Tables were set with simple place settings of classic white & silver, while earthy organic goodness was brought in in the form of petite succulent place cards. 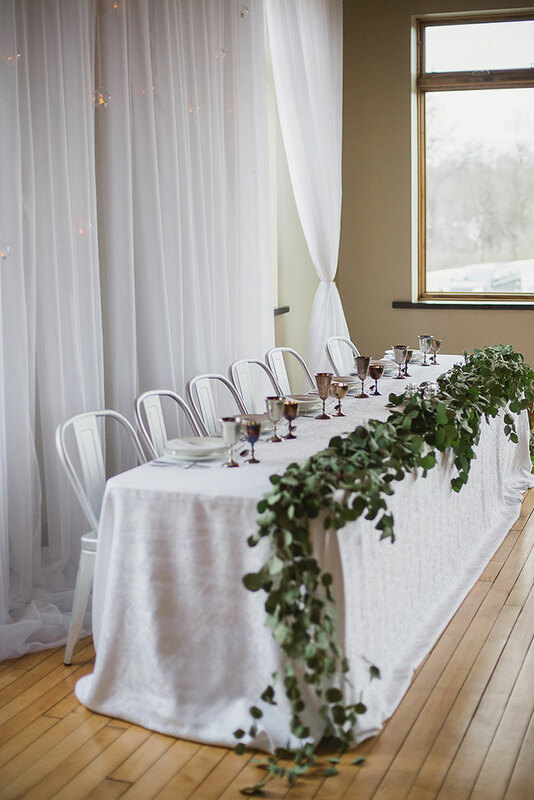 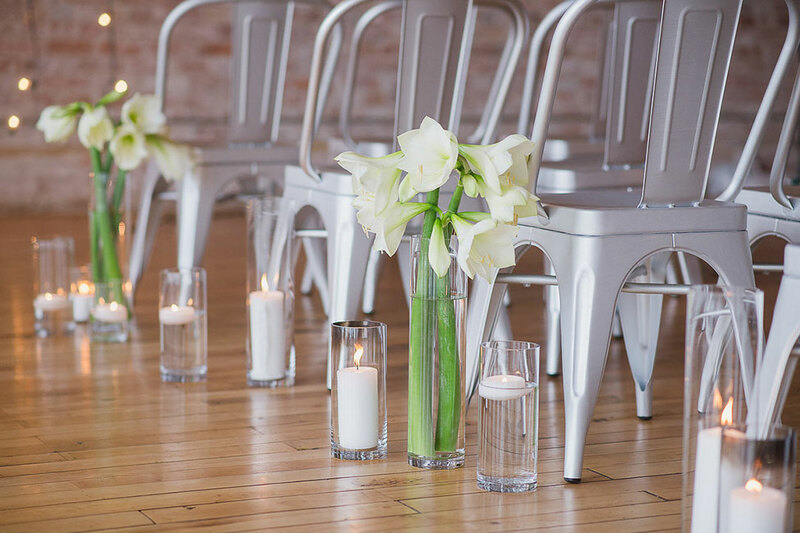 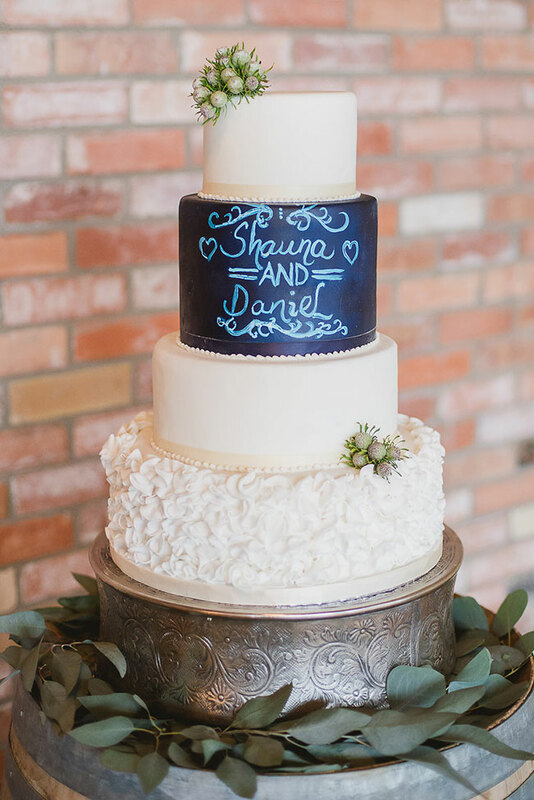 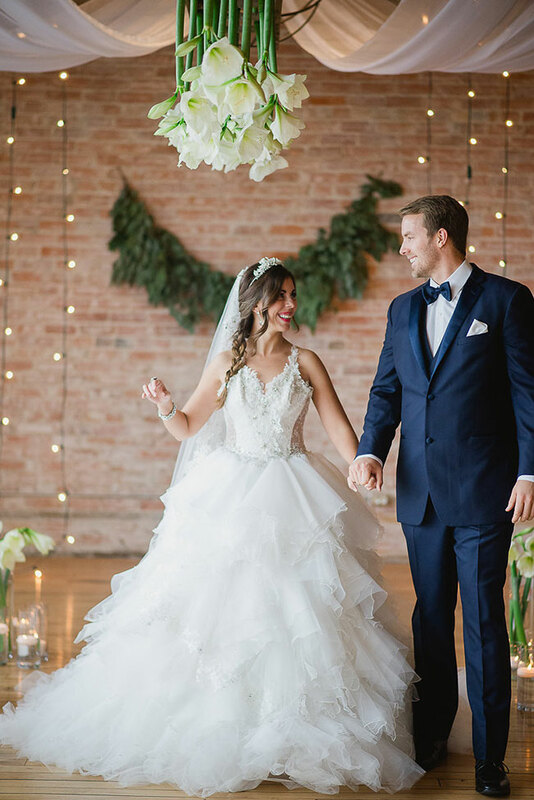 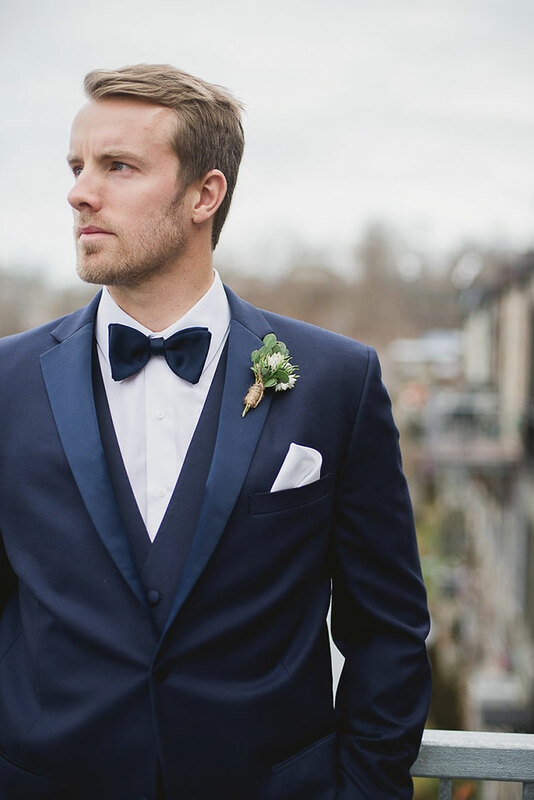 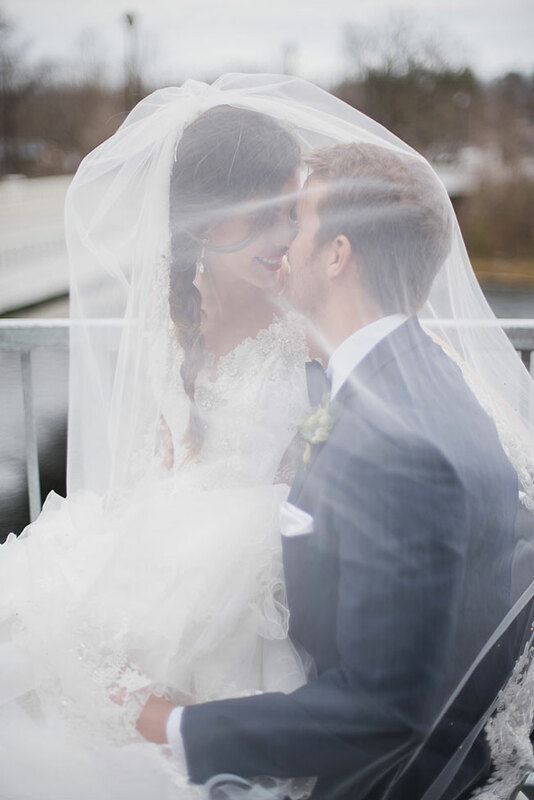 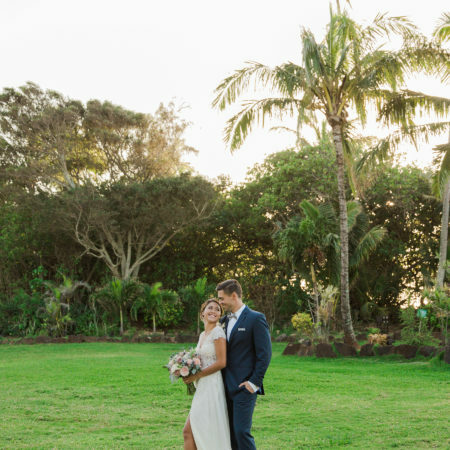 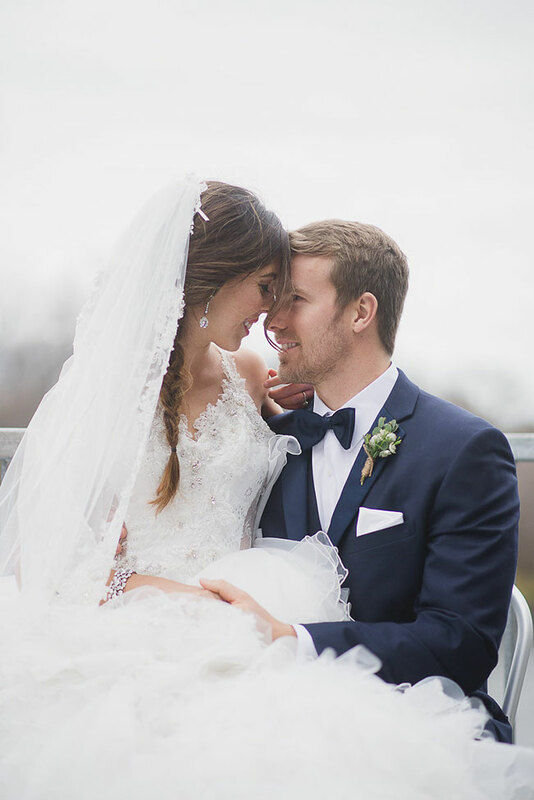 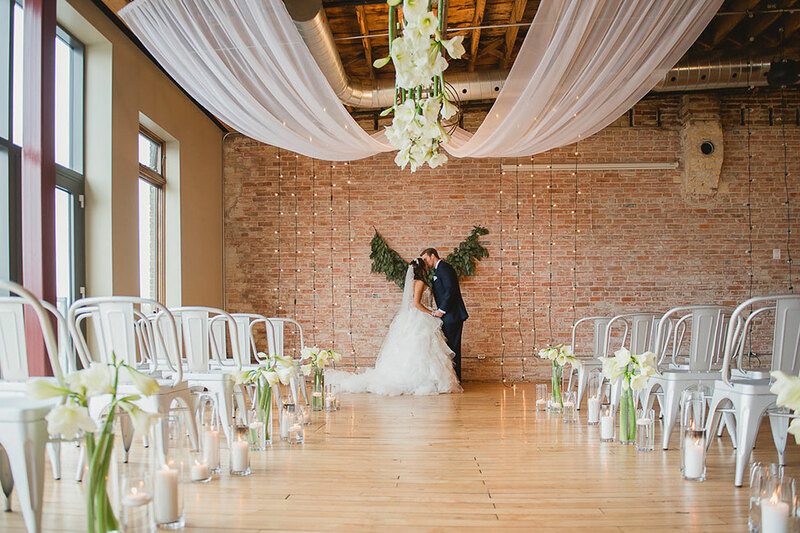 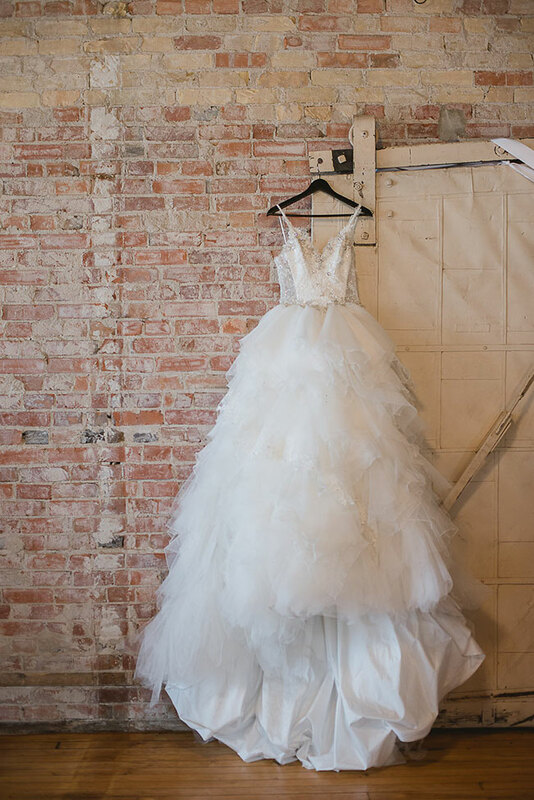 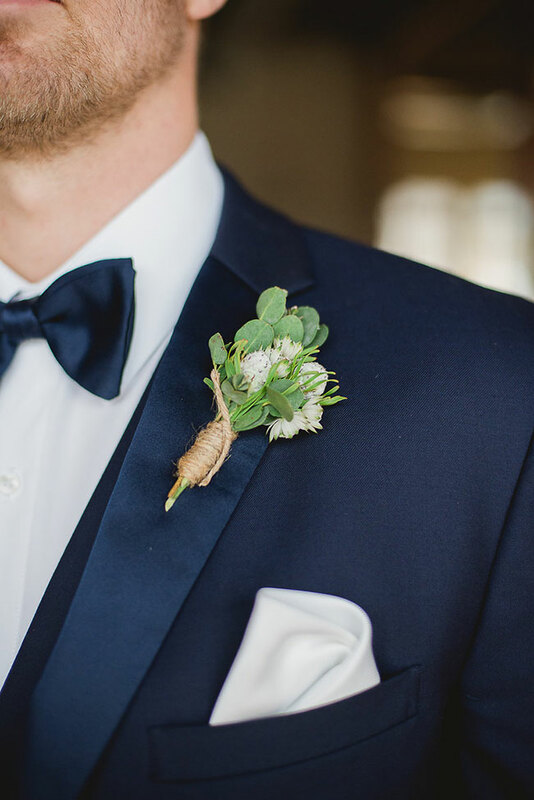 While classic at hear, this loft wedding has a fresh modern feel. 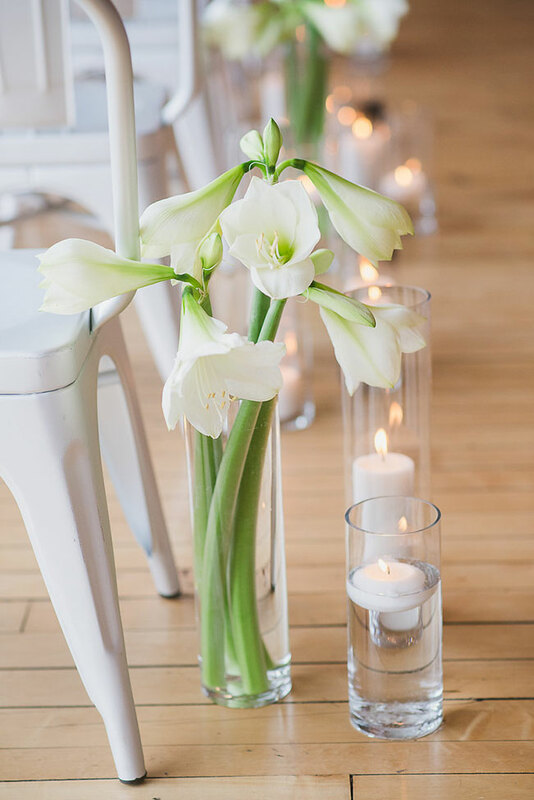 There is much to love, however the easy star here is the amaryllis installations! 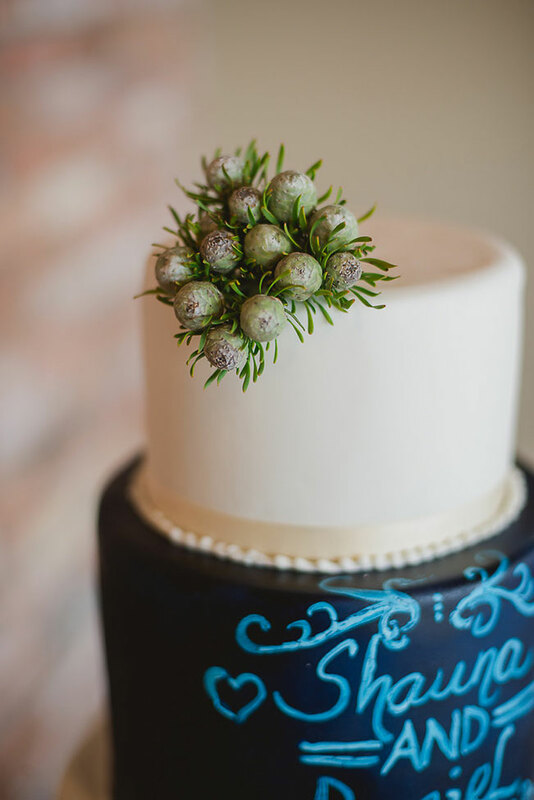 Photographer: Wendy Alana Photography | Floral: La Petite Fleur | Rentals: ABC Rentals | Venue: Arlington Hotel | Event Design & Decor: AWE Events, Warehouse 84 | Cake: Cakes by Christie | Men’s Attire: Collins Formal Wear | Bridal Salon: Creme Couture | Hair: FAD Hair Studio | Bakery: Paris Bakery | Invitations: Red Bicycle Paper Co.